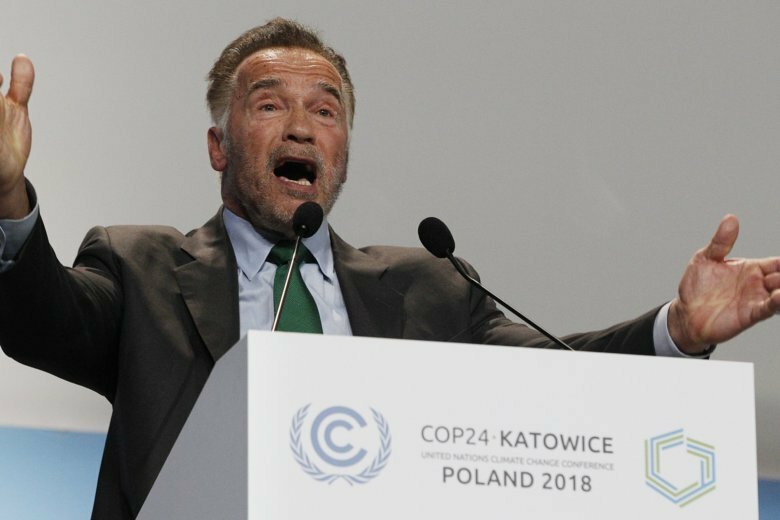 KATOWICE, Poland (AP) — Arnold Schwarzenegger says he wishes he could travel back in time like the cyborg he played in “The Terminator” so he could stop fossil fuels from being used. “If we would’ve never started in that direction and used other technology, we’d be much better off,” the actor and former California governor said Monday at the start of a U.N. climate conference in Poland. American states, cities, businesses and citizens can do a lot to curb global warming, and representatives from those arenas should be invited to next year’s climate conference, he told the audience in Poland.